The FOMC minutes left no impact on USD and today there are no major economic reports to move the market. 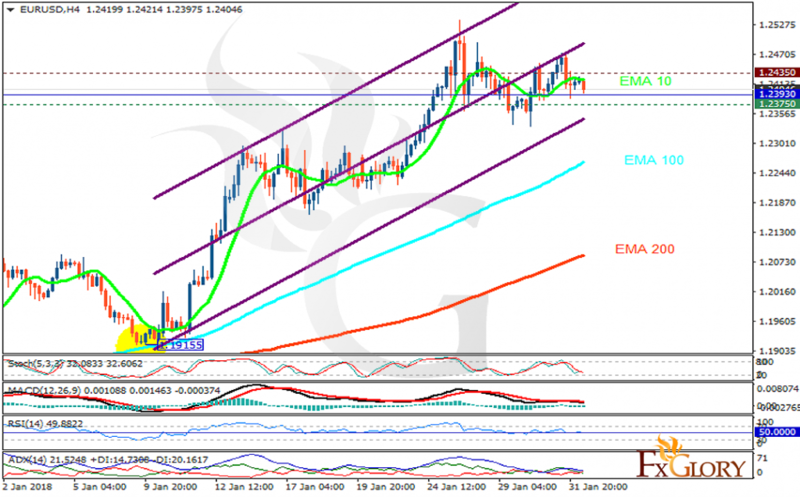 The support rests at 1.23750 with resistance at 1.24350 which the weekly pivot point at 1.23930 is located in between the lines. The EMA of 10 is moving horizontally in the ascendant channel and it is above the EMA of 200 and the EMA of 100. The RSI is moving above the 50 level, the Stochastic is moving in low ranges and the MACD line is below the signal line in the negative territory. The ADX is showing sell signal. The price will be fluctuating within the channel however, the resistance level break out will push the pair up towards 1.25.